After the real estate bubble burst in 2008, many people were scared away from investing in real estate. After all, they thought real estate could never go down. That was many people's belief up until that crash. Maybe they bought a home at the peak, and got crushed. It's unfortunate. The problem is, many of these people were flippers investing for capital gains, and not investing for passive income, which is the real reason to invest in my opinion. Real estate offers passive income, meaning you make money every month without really having to do anything (after a little bit of work in the beginning, of course). There are still plenty of reasons to invest in real estate, and I hope I can convince you. Credit: onlinerealestateguide.orgQuestion: Why should I invest in real estate now? Why not? Interest rates are negative. You can get a 30-year mortgage at less than 4 percent. When else in history could you have done that? Do you think rates will be that low in 10-15 years? I think not. Since inflation is around that 4 percent range, that is basically free money. The Federal Reserve has said they will not raise interest rates until at least late 2013 as well, to boost the economy. So you have some time to lock in these ridiculously low rates. Question: Isn't the economy bad, though? What if we have another 2008 scenario? Answer: More people than ever are now renting after the events that transpired in '08, according to many experts. Affordable housing is where it is at, in my opinion. People have been scared away from buying homes. They can't afford to buy and don't want the committment. Many also got foreclosed on, unfortunately. I believe that multifamily homes that are affordable for tenants are the best bet going forward. Think $500-600 a month rent. The truth is, not everyone should own a home anyway. We've learned this the hard way, and this was one of the reasons for the crash. I can see more and more people wanting to rent than buy going forward. Question: How do I make money investing in real estate? Cash flow is the money you put in your pocket every month after all the expenses are paid for. It's the total rent, minus expenses, debt payments, etc. You want to find a property that is positive cash flowing. That is a MUST! Loopnet.com is one great site to browse properties. They will show you the projected Net Operating Income for the property. (Note that NOI is not the same as cash flow, because it does not include your mortgage payments). Equity buildup - your tenants are paying your mortgage. It's that simple. After a couple of years you may wish to take some of that equity out for other real estate investments. Even if you just keep it there, you are building your net worth every year! Asset Appreciation - Of course, your property can go up in price on its own. Historically, home prices went up about 2-3 percent on year per average. Then of course the crash happened. I do feel as if we've reached a bottom or are close to reach a bottom in housing prices. My advice is to invest for cash flow and equity, and not to worry about appreciation. Invest for income and for the long-term and you will be fine. There were many people who "flipped" houses before the crash and made money, but then got crushed when it all kept tumbling down. I would recommend against even thinking about trying to flip homes. Question: What other tips and advice would you give for a beginner? A: I would say to do a lot of research and reading before you decide that real estate is for you. Everybody has different circumstances, so it is impossible to give advice to people unless you know their situation. I do feel, however, that real estate is the single best investment there is. The advantages are plenty - besides the three ways to make money outlined above, there are also many tax advantages! There are several great, free resources online. Besides Loopnet, Trulia and Zillow are both great sites for browsing. I also recommend you check out my list of the Top 5 Money Books of All-Time. The key is to acquire knowledge beforehand - this takes away a lot of the fear you may have. Everything is scary at first - the unknown is always scary. But reading and gaining experience is a must, and you can't do that without at least giving it a try! This is one of my favorite books on real estate investing because of its relevance to the current market and the great tips he gives to beginners. 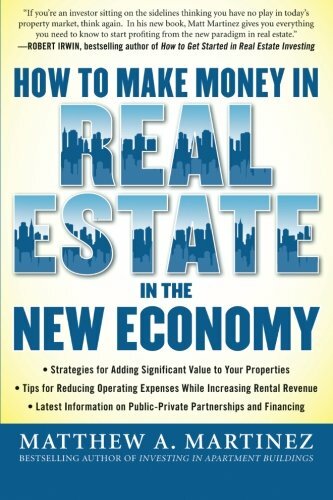 If you are more interested in how to be a landlord and tips on making money by renting out homes, this is definitely the book for you. Hi I clicked on every advertisement link like you said but I still couldn't find the easter egg? Well this should now be updated "The Fed said they will not raise interest rates until late 2013" Make that late 2014! Very nice article. Glad I own my home. Congrats on another feature article. 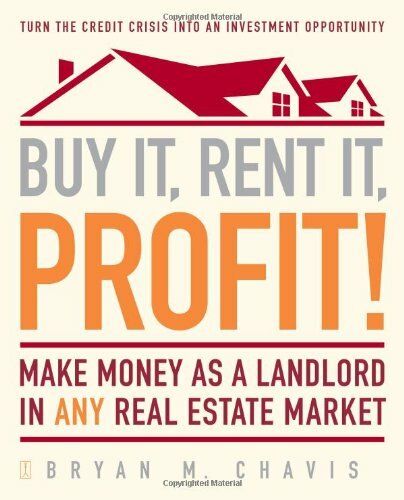 I agree with you; you can still make money with real estate; if you have some spare money it is useful to invest it in a property as many people are selling their homes for a reduced price; that is how I bought my current house but I am considering buying a second one on a buy to let basis. I wish I had the cash flow to invest in a few profitable real estate ventures. Great article offering solid advice on investing in a home. Very helpful information. Congratulations on being featured. I work for a property management company and I agree with everything that you've stated in this article. Real estate investments are definitely the way to go in my opinion. Good article! I agree with every point, real estate is my passion as well. One thing to add, for the military crowd out there: VA Loans, one type of mortgage loan, eligible for veterans and active duty military, will allow you to buy a primary residence property for ZERO downpayment! (most civilians will have to pay 20% down, USUALLY, for purchasing a home) A great deal because you have all the pro's of getting into real estate, as you mentioned in the above article, plus you don't need to drop that 20% downpayment, which is money that can be saved and invested. Thanks for sharing such great advice and oinformation.